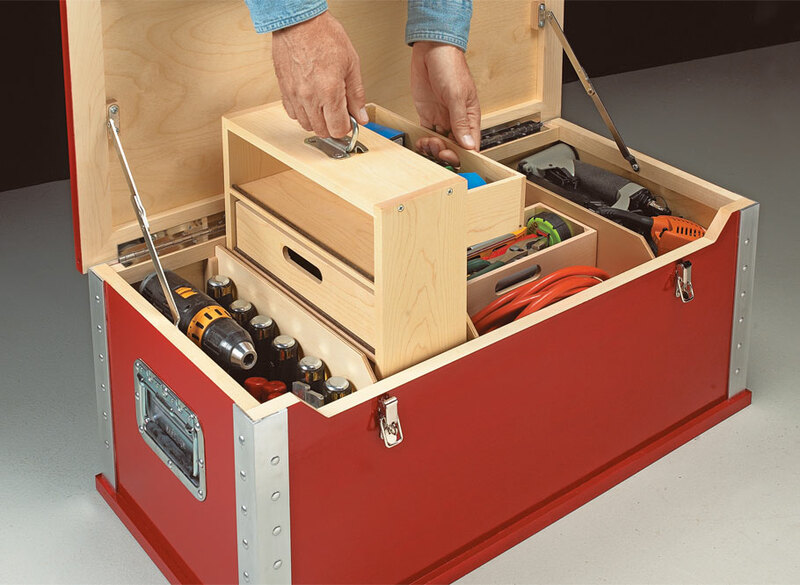 This heavy-duty tool chest has lots of handy storage and great organization with an easy-to-build lightweight design. 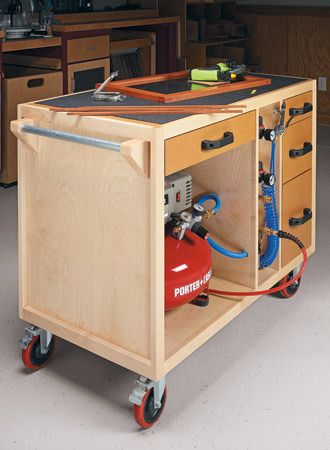 It seems like every tool chest we’ve ever had was too heavy to move around once it was loaded up with tools. Well, that’s not the case any more. 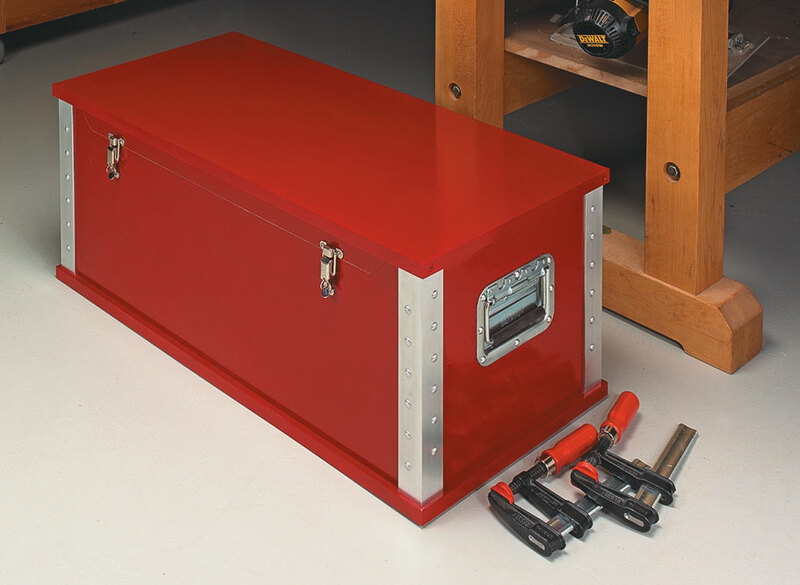 With just a little “high-tech” aluminum riveted to some 1?4" plywood, I was able to build a lightweight chest that was portable and heavy-duty. 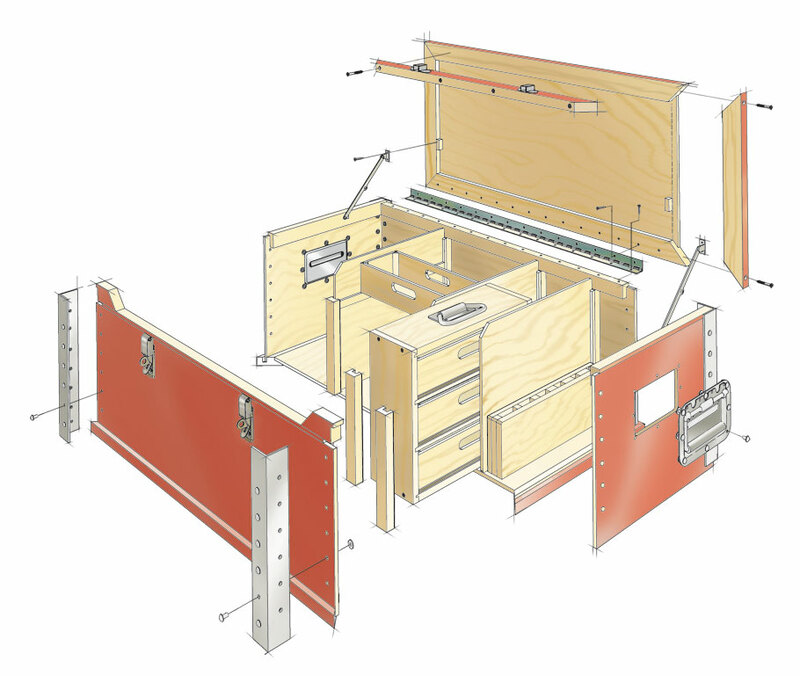 Then, to keep everything organized, I added removable dividers, a sliding tray, and a pull-out bin. 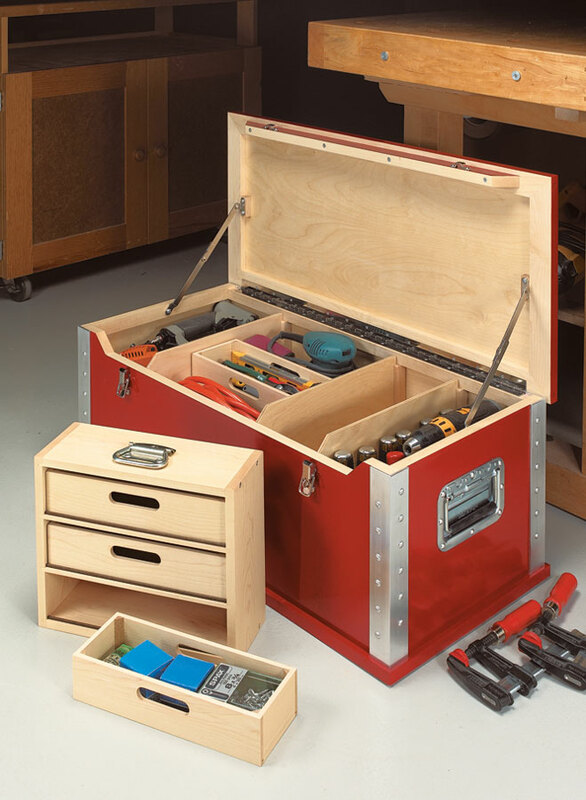 There’s even a small rack inside to provide quick access to often-used tools. 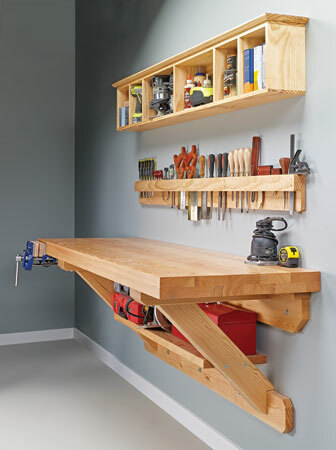 And you can arrange these accessories any way you want to suit your needs. 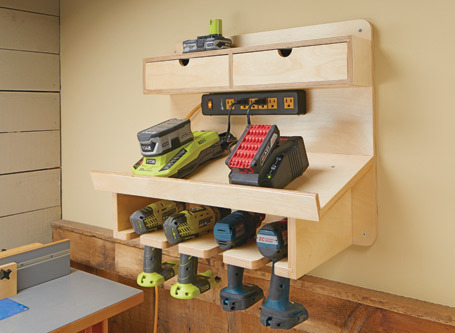 This dedicated Router Bit Cabinet is a great way to store and organize accessories for one of your most-used tools.